The Writer's Challenge: Cowboy 12-Pack is a NYT & USA Today Bestseller! 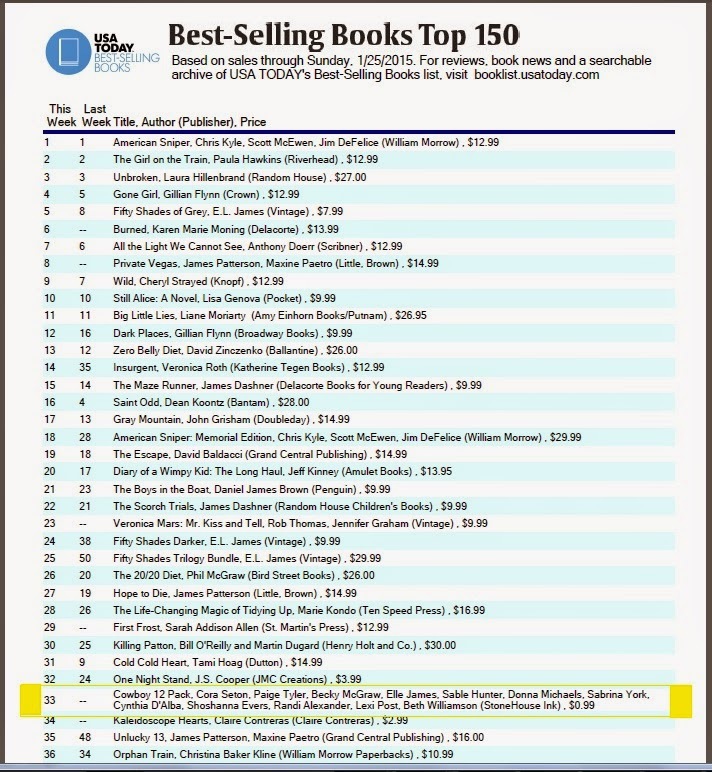 Cowboy 12-Pack is a NYT & USA Today Bestseller! Thank you so much to our readers! 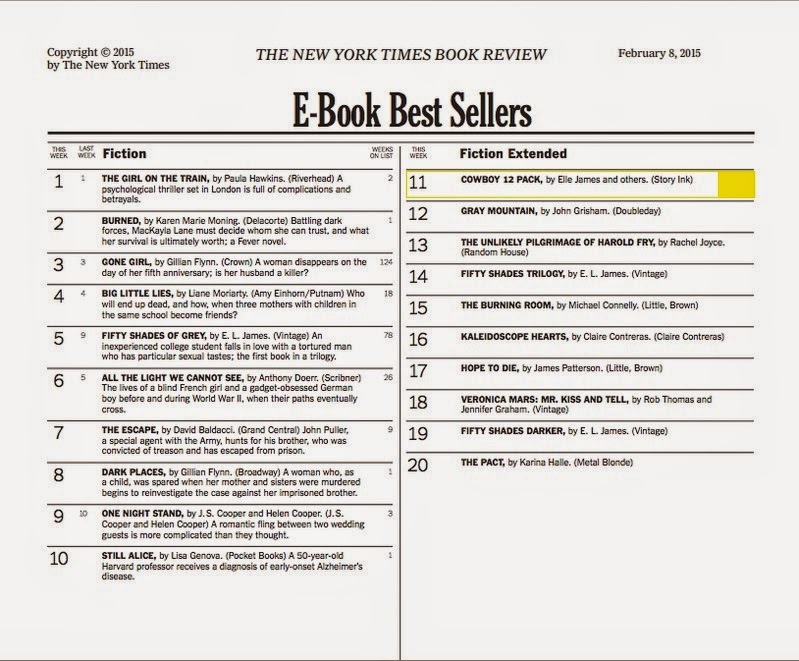 onto the New York Times and USA Today Bestseller lists! Congratulations to the other authors in the box set as well! Still available for a limited time only! I am so glad I found your blog! I am just started the process of writing romance novels ... and I love reading them, too. Your blog is a lot of fun and very helpful! Thank you, Katherine! I started this blog in 2009, before I got published, and the posts detail the ups and downs when I was getting my foot in the door! I continue to post about weekly or biweekly.